This monthly article is mainly designed for those new to gardening who are looking to enjoy the fruits of their labours on their dinner plate. For experienced gardeners, it will act more as an aide memoire as to what needs to be done. I would however ask those experienced gardeners out there to get in touch with their tips, to help those new to growing fruit, vegetables and flowers. The one thing to remember about gardening is that it’s all about planning ahead. Sometimes you reap the rewards quickly (annuals flower within weeks of planting) or in years (asparagus beds take a few years to give good crops). The thing to remember is that it’s not an exact science; you’re at the mercy of so many variables – mainly due to the weather. This dictates everything from the rate of germination, to plant growth, flowering and ripening. There is no absolute set date for any job in the garden, so you’ll need to take your soil condition into account before sowing etc. In general, cold wet soil isn’t a welcoming place for most seeds. If your soil is wet and sticks to the soles of your boots, I’d wait a day or two for the soil to dry a bit more before doing anything. There’s an old gardening saying that you shouldn’t plant potatoes until sitting on the soil with a bare bottom is ‘comfortable’! Not sure what constitutes being comfortable in this context! Finally, grow what you like! There’s absolutely no value in growing something as prolific as courgettes for example, if you can’t abide them! Your neighbours will soon get fed up with your ‘surplus food parcels’ and will hide behind the settee rather than open the door to you! So, if you’re thinking about starting a vegetable patch, here’s some advice……..
Get into the garden as soon as you can, and cover the area you intend using as a kitchen garden with thick polythene / tarpaulin weighed down with stones. Doing this now will help kill off the vegetation and make the next steps that much easier! Once the ground has thawed and is reasonably dry, peel back the covering you’ve put on, mark the shape of your veg patch with sand trickled from an old plastic bottle. Remove the top layer of growing vegetation and dig the ground over, incorporating as much organic matter as possible. If you are making a bed in the lawn, remove the turf and stack it upside down somewhere out of the way – after a year or two it will rot down into fantastic compost. Alternatively chop it up and bury upside down in your plot, a good spade’s depth down. Don’t just dig it in to the top surface, or it will rapidly re-grow and cover the surface with weeds. Start off with a small veg patch this year; if you find you enjoy growing your own and have some success, you can always make it bigger next year – assuming you have the space. For a first year’s crop, potatoes are considered a good choice as they help break up the soil. 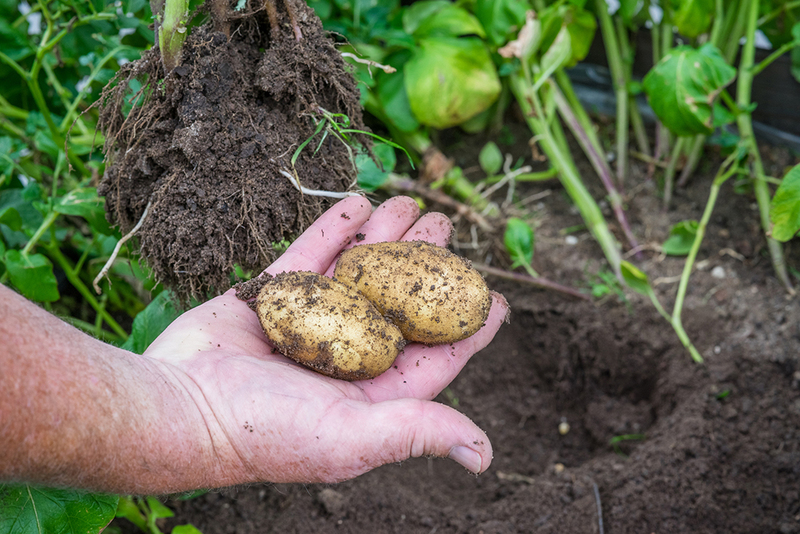 In reality – it’s you, digging up the potatoes later in the year that breaks up the soil! If you’re planting in what used to be a lawn, you can expect to lose around 40% of the potatoes in the first year due to wireworm and / or keel slugs. Don’t worry if you don’t have space for a veg patch, a large number of vegetables (including potatoes and carrots) can be successfully grown in tubs. For those more interested in flowers, here are some things to keep you busy……. Hardy annuals can be sown in pots or modules to provide colour in the garden. Place autumn-sown sweet peas in a sunny position, perhaps on a high shelf in the greenhouse that gets plenty of light. Sow summer bedding plants in a heated propagator or under glass. Early spring is an ideal time to plant herbaceous perennials, including Geranium, Astrantia and Oriental poppies. Plant summer-flowering bulbs. Prepare the soil first, to ensure that drainage is sufficient to prevent the bulbs rotting. Anemone coronaria tubers need particularly well-drained soils. Indoor forced bulbs that were in the house for winter displays, but which have finished flowering, can now be planted into the garden, taking care not to disturb the roots. Always check the instructions on the seed packets to establish when best to sow them. Make use of the warmth in your airing cupboard to germinate seeds. Once germinated, they need to be moved out into a greenhouse, cold frame or the windowsill. So you need to check them daily. 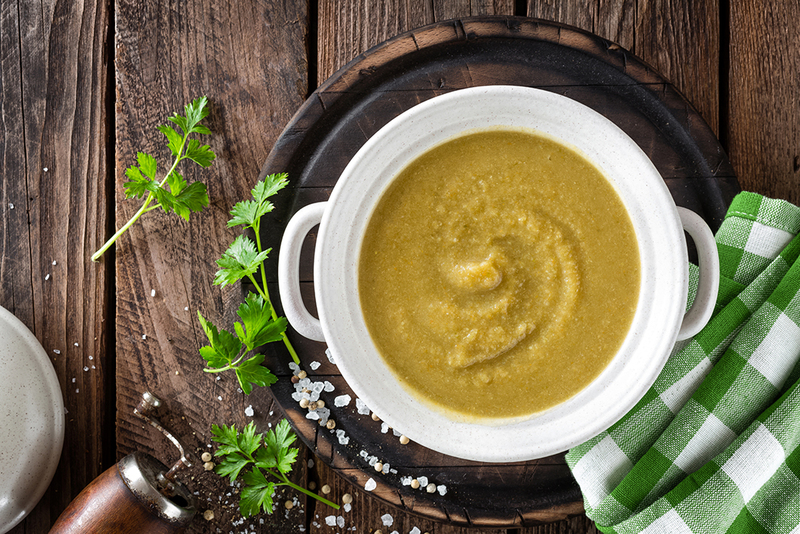 Here’s a recipe for Parsnip and Leek Soup (serves 6). Chop or slice the parsnips, leeks, carrots and onion. Heat oil oil in a large pot, add the onion and garlic and fry until soft, stirring. Add the leeks and cook for a further 5 minutes, stirring occasionally. Add the parsnips and carrots and sweat them off on a very low heat for 10 to 12 minutes. Give them a stir every so often to make sure they don’t catch on the bottom of the pot. Add the stock and bring to the boil. Simmer for 25 minutes. Add pepper to taste. Let it cool and then blitz it, with a blender. Reheat your soup and serve with crusty bread.